If you’re a fan of Downton Abbey Clothing, you’ll love Downton Tabby! Because the internet is saturated with cat fanatics, there are cat videos to parody every TV show imaginable—including Downton Tabby, an internet sensation that takes cats and puts them in hilarious Downton Abbey scenarios. There are many different interpretations of Downton Tabby, whether it’s cat heads pasted onto Downton Abbey clothing or cat behavior set to theme music, it’s all bound to be hysterical. 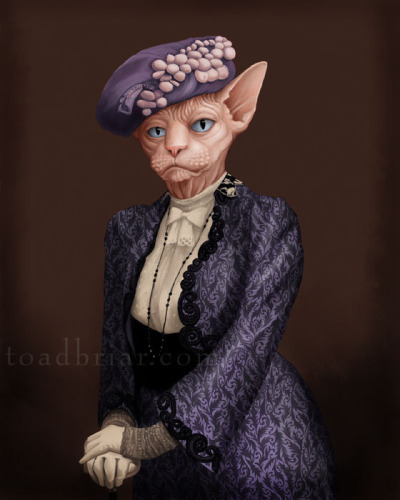 One thing is for certain: cats look cute in Downton Abbey clothing—well, they look cute in cat clothes in general. Here, we have a couple a videos that parody Downton Abbey with kittens. The intro is exactly like that of Downton Abbey, only made for the dramatic and mischievous cats in this home. The only question I have is, how many cats does this person actually own? If you like Downton Abbey clothing for yourself and not for your cat, then you can always shop with Recollections! We have an entire section of our website devoted to the beloved show, and we would love to help you complete your Downton Abbey clothing ensemble.